Home owners and would be renovators often commence projects with high expectations and big dreams. Simple home renovation ideas can include projects that will be be cost effective and even cheap. However a co ordinated approach is needed for larger home renovations. We look at some ideas that will guide you through the process. Projects can be simple, they may include bathroom, kitchen or a project that will encompass the whole home. Renovation ideas for all major and minor projects ideas need to lead to a proper design or brief. Any alteration or remodelling of the Kitchen or Bathroom needs to be carefully put into a total design if they are to be functional and successful. Home Renovation is popular, and can increase the value and greatly appeal of your home. At Renovators Delight we include: Popular Kitchen Design ideas, Home and House renovation planning and Bathroom planning. Un-renovated inner city properties as well as those in outer suburbs needing refreshment are becoming a little harder to sell. However if you do the sums, and set realistic goals buying a home that requires a good deal of updating can still be the best way to find a real estate bargain. If you can live in it while you make the alterations – It might be a bargain. For people with a few skills, or those prepared to ‘rough it’ for a few months an run down property can be a great way to get into the housing market. However if the house requires re stumping, re roofing and re wiring you really need to look at costs and budgets before you sign on the line. A solid brick renovators delight may seem to be a good place to start, however structural changes may not be a cheap as they would be in a weatherboard property. The cost of renting while paying a mortgage on a property thats in need of a little updating can really break the budget. If you can ‘live in’ then things become a lot more affordable. The trick with buying a property that is in need of a lot of work is to get a good idea of what it will cost to bring it up to the type that you want before you buy it. If you can buy at the ‘right price’ then a so called ‘renovators delight’ can indeed be a bargain. Is this Renovation a Waste of Money ? A few indicators may be a warning that what might seem like a renovation opportunity may be a nightmare rather than a delightful experience. It looks great and its cheap. This falls into the category of ‘To Good to Be True’. Anything that seems like a bargain on the property market needs to be treated with suspicion, the basic checks need be carried out. Foundations, Electrical Wiring, Rot and White Ants, Plumbing and council restrictions. And this does not necessarily mean the neighbours. Located to close to train track, looking at a single story renovation when double story dual occupancy can be built next door and other issues can lead to over capitalisation. So what are we looking for ?. Position and Potential – they key to a successful renovation. 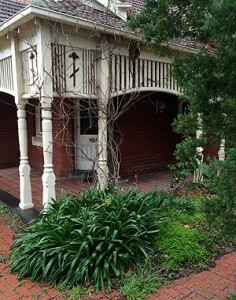 As with all properties position is very important when looking at potential capital gains. Some properties are just to expensive to be worth the while. Get a pre purchase check from a builder or ‘Archicentre’. Or at least get a good idea of what it will cost per square metre. Check the basics, are the foundations solid (re-stumping costs), doe the house need re roofing ?. Does the house need rewiring ? Remember that kitchens and bathrooms are expensive, so work out what you need in these two areas. Do you need to ‘extend’ or is the house big enough? Are you happy with the layout, if you do not need to build on or shift walls then costs can be much cheaper. Some modernisation here can be a way of maximising the value of a house as well as improving the layout and functionality of a home. Bathroom and kitchen renovations are perhaps the most popular projects. We provide a guide to renovation projects for for Sydney, Melbourne, Brisbane, Perth, Adelaide, Darwin, Canberra and Hobart.. So plan this carefully, lots of kitchen companies will come to your home and present a plan, but start by defining your need, we provide you with a starting point in our kitchen ideas guide. Think carefully about cook tops, do you use a WOK burner? If so should it be located on one end of the cook top, or centrally located? A centrally located WOK burner may restrict access to the other burners, is this OK for your style of cooking? 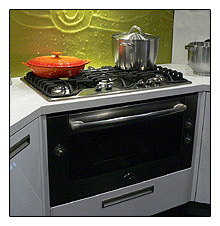 Ovens come in different widths, what do you need? Big is only better if you are going to use it. What about that dishwasher? Do you need an extra quiet Dishwasher because you use the kitchen as a family room, if so check it out first. More ideas in our kitchen renovation ideas guide. What paint to use in Kitchens Bathrooms and Laundries – How to paint them.